Can someone from the capital boat association post some details about the rally this weekend? 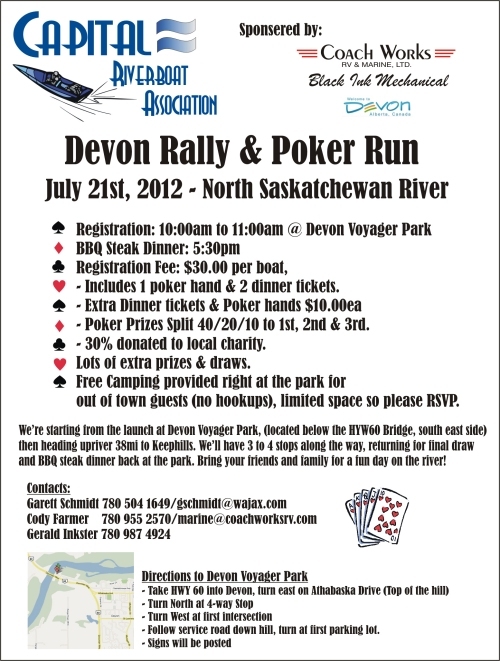 Lot's of door prizes, cash to be won and Scavenger hunt for the kids ! Free Camping down at main area again, just need to RSVP for spots.